Baseline HbA1c and, to some extent, diabetes duration were the primary drivers of degree of treatment response to liraglutide. 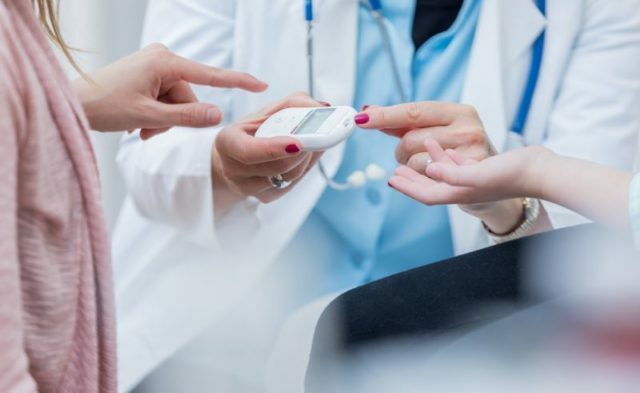 Treatment response in patients with type 2 diabetes (T2D) receiving liraglutide was correlated with diabetes duration and glycated hemoglobin (HbA1c) levels, according to a study published in Acta Diabetologica. Medical records from participants in the ReaL observational study (ClinicalTrials.gov identifier: NCT02255266) with T2D receiving liraglutide for the first time were evaluated and compared between groups who either did (n=577) or did not (n=748) achieve an HbA1c reduction of ≥1.0 percentage point. Information from the records included fasting plasma glucose, body weight, body mass index, diabetes duration, presence of diabetes complications, and diabetes treatments. Participants who achieved the goal of HbA1c reduction ≥1.0 percentage point within 12 months were correlated with higher mean HbA1c at baseline, a shorter diabetes duration, higher mean diastolic blood pressure, and higher mean total cholesterol levels compared with those who failed to reach the primary endpoint. In addition, recursive partitioning and amalgamation analysis identified 5 distinct patient subgroups with increasing odds of achieving HbA1c reduction ≥1.0. The splitting variables indicated that baseline HbA1c and, to some extent, diabetes duration were the primary drivers of degree of response to liraglutide. Disclosure: This study was funded by Novo Nordisk A/S.